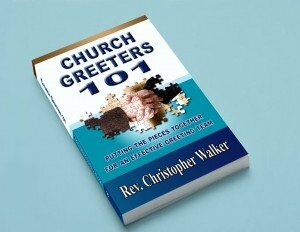 The following is an excerpt from Chapter 2: The Impact of Church Greeters in my new book Church Greeters 101. I received this email earlier this week, though I have changed the details to remove church names and details to make it more generic. This could be true of many churches in the United States. This morning I heard an account from a person who recently visited one of our churches. 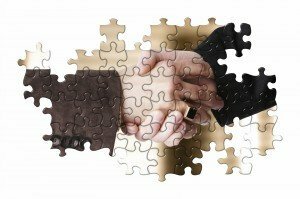 The person has chosen to get more involved with our denomination and has decided to go to a church somewhat close to where they live (praise God!). After two visits this person wanted to share with me the outcome of visiting the same church two weeks in a row. They thought I would be interested in their observation, and I certainly am. In two weeks of visiting not one person greeted them, not even the pastor. Ouch! This wasn’t a huge church so it would be most obvious that someone was new. The Internet has plenty of easily found stories about church visiting experiences. It seems that people expect to be greeted at a church, even if they are not a believer. People will broadcast their experiences on sites like Facebook and Twitter. I watch the twitter feed for “church visitor” and “church greeter” and get some amazing insight into the importance of a hello. Church visitors comment on no-one saying hello, or too many people saying hello and seeming insincere. Not long ago we visited a certain church. Arriving on time, my wife I started walking past a fellow who seemed to be standing idly in the foyer. He stopped us and fairly demanded to know who we were and where we were from. Eventually I understood that this man with his ill-fitting sports coat and checkered shirt was the official church greeter of the day and that this was his way of welcoming visitors. At about that time he extended his right hand which included two or three half-inch scabs which I was obligated to grasp and shake . . . Imagine my thoughts when I was once welcomed in another church by a very old-looking and overweight saint, wearing outdated clothing and who was missing several teeth? Your greeters are part of your first impression team, whether for the good or for the bad. Beyond the power of a hello, greeters can help people connect. Helping people to connect with other people is one aspect of growing your church. Research shows that most people don’t join a denomination, or a church nearer to their house – they join and connect where they bond with people. I’ve interviewed several people who still don’t know the differences between the Presbyterians, Methodists and Episcopalians, but they like the people of the church they attend. Loyalty is with people, not so much an institution. If your church growth is partially dependent on helping people to connect to your congregation, then greeters play a vital role. If your church desires to impact a person’s life for the sake of the gospel, your greeters help with that process. How do you respond to a church welcome address?